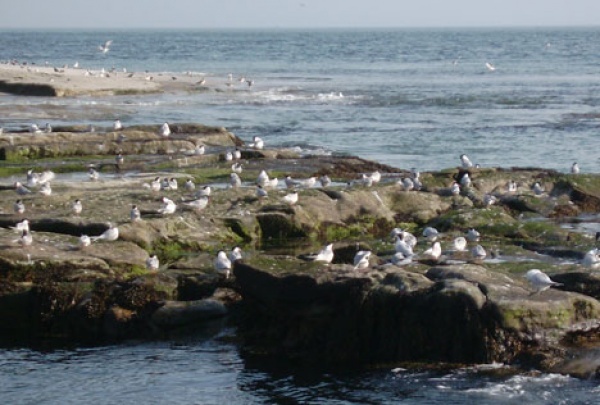 Coquet Island is a Royal Society for the Protection of Birds (RSPB) managed nature reserve. It is designated as a 'site of special scientific interest', and is a safe haven for puffins, terns, and seals. Boat landings are not permitted and only RSPB wardens are allowed to step foot on the island. 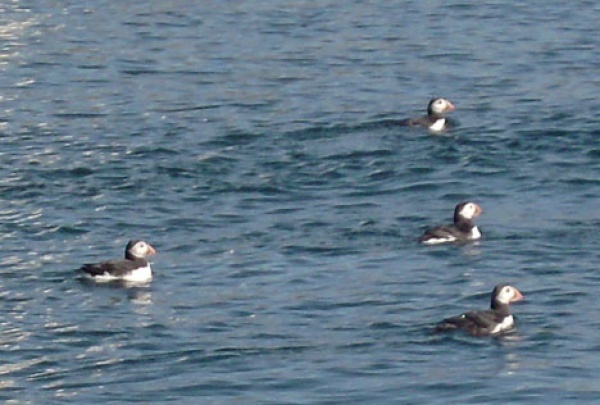 Boat trips around the island run from Amble, Live interactive camera on Coquet Island Puffins. Coquet Island history The lighthouse keepers who lived on the island left in 1999 when the lighthouse was automated. Up until the 1920s, they used to live there with their families and kept pigs and, hens - and always kept a nanny goat for milk. They grew their own vegetables using seaweed as a natural fertilizer. Fresh water came from two wells and they also collected rain water from the roof of the lighthouse. The lighthouse, which has been solar-powered since 2008, was built in 1841, on top of the remains of a Benedictine monastery. You can still see these remains – they are the unpainted stone base of the lighthouse and form part of a scheduled ancient monument. A Napoleonic gun battery, an explosives store (which was used to keep the charges for the fog signal), and the crenulated garden walls, are Grade II listed buildings. 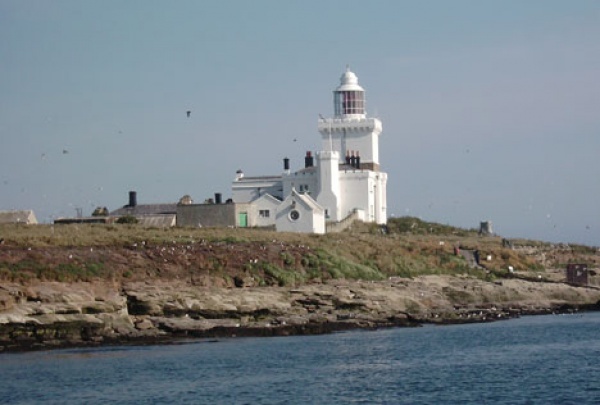 Coquet Island is owned by the Duke of Northumberland and was bought by his family in 1753. 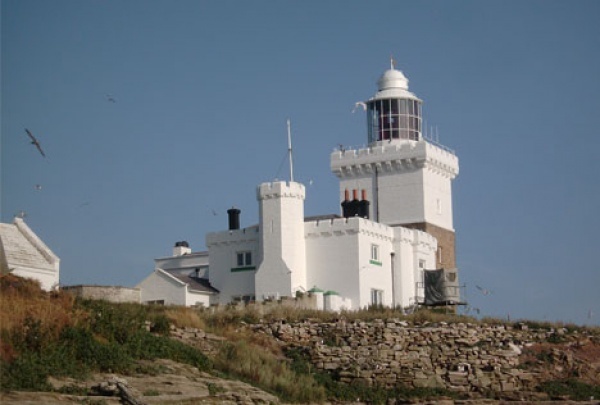 The castellated appearance of the lighthouse mimics that of a castle; and the battlements of the Duke’s London residence (Syon House) are made of Coquet Island sandstone. Today, fulmars and kittiwakes use the low cliffs formed by the quarrying of that stone. Wildlife preservation Seal nearby Coquet IslandCoquet Island is home to almost all (98%) of the roseate terns in the UK, and thanks to the efforts of the wardens, their numbers are growing. During the breeding season, a team of wardens live on the island to ensure the safety of the birds, and to do vital monitoring and research work. The 30,000 nesting puffins use old rabbit burrows and can regularly be seen re-arranging and excavating their homes. Arctic, common and Sandwich terns on the other hand, use small scrapes as nests, and the rare roseate terns use boxes on the specially constructed terraces as their summer residence. Even if you can’t make a boat trip, watch out for the eider ducks which nest on the island and then make their way to the Coquet estuary, where they form crèches which are supervised by non-breeding females called ‘aunties’. In addition to the birds, there can be as many as 600 grey seals in the early summer. They can be seen sunning themselves on the rocks at low tide and their inquisitive nature means that they can often be seen near the boats which run trips around the island.